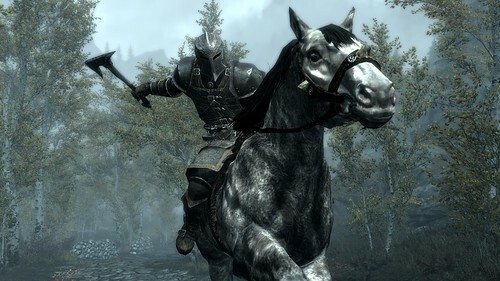 Bethesda has released twelve new screenshots from the Dawnguard expansion pack. Check them out! I'm looking forward to it. More Skyrim is a good thing. I STILL haven't finished the main skyrim questline. At this rate...I never will. Each major patch brings with it more mods I want to install, which I then start over with, ugggg. Damn you awesome PC gaming! Same here Tolgar. Put in over 250hrs and no-where near doing the main quests. But now i got that nice new 3d monitor i have an added incentive. This looks awesome. However, will they finally hire more than 3 voice actors for this expansion? anyone know whether they ever fixed that bug with the one old guy's voice missing? the guy you find barricaded behind his sewer apartment door? could never fix that no matter what i tried and gave up on the game after had the problem bug me enough at the wizard's tower meeting where you were trying to make a truce.